With the upgrade of our network and servers, we are now able to offer doubled diskspace and bandwidth allowance on any web hosting plan you order for the same price. If you order 6 months or above, you may also qualify for the 30% discount! Be sure to read on. Our web hosting plans' information may be found here. 30-day Money Back Guaranatee still applies! If you are not satisfied with our service, you may cancel within the first 30 days to take advantage of our 30-day money back guarantee, and we will refund the entire amount paid back to you. No questions asked! 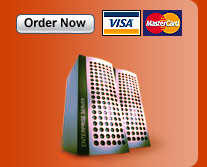 -- Click here for more information on our web hosting plans. -- Click here for more information on our reseller plans. -- Click here to order now! For the past years, customers from all over the world have chosen HostIgnition as their web hosting provider. To show our appreciation, we have added more than 20 languages to our control panel including Chinese, French, German, Indonesian, Italian, Portuguese, Spanish and more! Now you may choose your favorite language when using our powerful control panel to manage every part of your account such as email, FTP, PHP scripts, statistics, and more! Click here for more information.